If you’re wondering where you heard the name “Derrolyn Anderson” before, but can’t quite connect it to the cover image and title above, let me help you out. Anderson wrote two brilliantly written young adult series that I absolutely adored: Marina’s Tales and the Athena Affect. Her mellifluous writing style, stunning mind visuals and ability to turn mermaids and genetically altered psychics into completely relatable characters reeled me in from the very first book (Between Land and Sea). When Derrolyn wrote me and asked if I wanted to check out her newest book, After Last Call, I of course said yes. When she told me it was something different, I was curious. It’s definitely a departure from young adult paranormal fantasy! Still, knowing Derrolyn, I figured she’d pulloff the genre-change flawlessly. I also knew that no matter what genre she wrote, it would still have all those characteristics that made her other books such a smashing success! Of course, I was right. I’m ALWAYS right! Right??? From here on out, I’m going to stop comparing After Last Call to Anderson’s other books, because it’s not fair to compare siblings to each other! No spoilers either. After Last Call takes place in the 80s, a time notorious for bad hair, loud music and way too much partying with white substances. The mob pretty much ran the clubs, casinos and most large cities. Maybe they still do, but if so, they’re quieter about it. On a funny side note, the mob also owned the development that I grew up in as a kid. The main owner was SUPER nice and always gave me rides home from the bus stop when it rained. End side note before I end up saying something that gets me swimming with the fishies (all the mobsters I knew as a kid have long since passed on though, and I don’t know any secrets!). So anyway, the book opens with what seems to be a drug-related death, because that’s pretty much how the 80s went. Or was it drug-related? With a smarmy guy like Frankie, you just don’t know. Although that’s chapter one, the REAL story begins with Lola, the main character. Like Anderson’s departure from teen novels, Lola is ready for a change. Sadly, Lola isn’t the best at making logical decisions. She blew through the start of the 80s wandering through Miami’s coke scene. Then she let a sweet-talking stranger named Randy whisk her off across the country. Obviously, that didn’t go well. Deep down, I think Lola knew it wouldn’t go well. She even says she knew Randy was trouble the first time she laid eyes on him! She ends up alone and on her own for the first time in her life. Fortunately, Lola’s friend Nora takes pity on her and lets her move in. Nora drags Lola out of her funk, gets her back into the land of the living. It’s Nora who encourages Lola to go back to school by encouraging Lola to open her own restaurant. Lola says she’ll never be able to run it, so Nora tells her to go to school and learn! Lola’s path takes her from cocktail waitress to bartender, a job she loves. Things are going fantastic…aside from the fact that she can’t stop thinking about a certain one-night stand that maybe, deep down, she wishes was more! Then she finds out that the “could be dream guy” lied to her, her friend Mandy, who is having a VERY ill-advised work affair- vanishes, and the life that was going so well takes a very nasty turn. Lola has a tough choice to make. Should she turn tail and book out of there or fight to keep her new life? As always, Anderson creates incredibly rich characters that really come alive in your mind’s eye. She also does a fabulous job of writing the 80s. I was a kid during those years (I turned five in 1980, so do the math), so I wasn’t really a part of Lola’s scene. Still, I was old enough to remember the 80s and I’m still young enough to NEVER want them to see that particular decade make a comeback. Derrolyn doesn’t throw the 80s in your face, yet you definitely know you’re there. After Last Call was everything I’d expect from a writer that I respect as much as I do Derrolyn. I’m incredibly impressed with her ability to switch genres so fluidly. 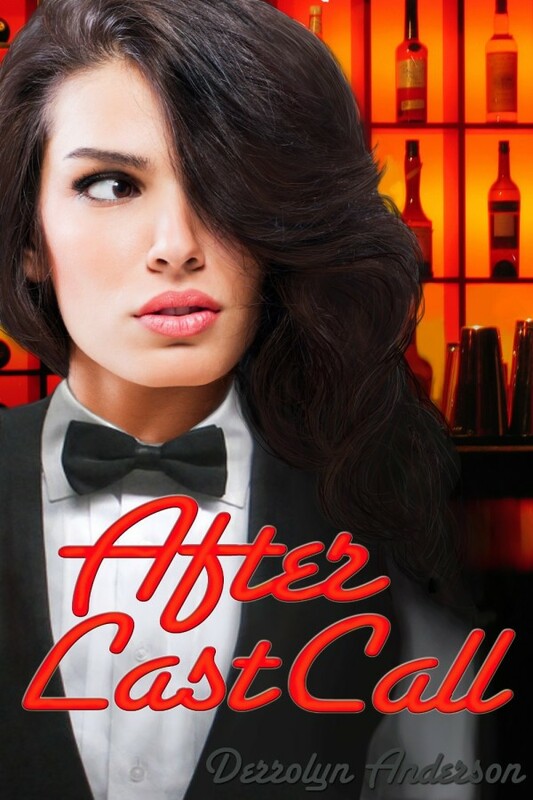 If you’re looking for a great stand-alone romantic suspense that flashes you back to the 80s, After Last Call is for you. It’s a great beach read, like totally, for sure! As promised, I have a fun giveaway for you! First, you’ll receive an e-book copy of After Last Call (from Smashwords, so on your choice of device). 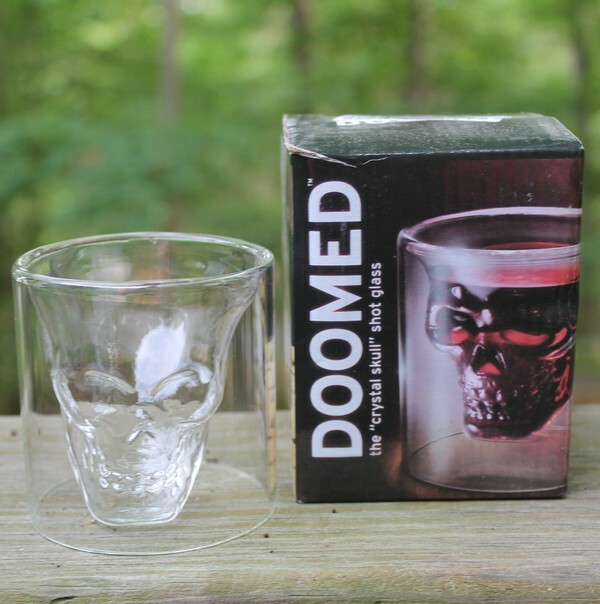 Then Derrolyn has some really cool shot glasses that totally capture the 80s AND the spirit of the book: a pair of Doomed crystal skull glasses. 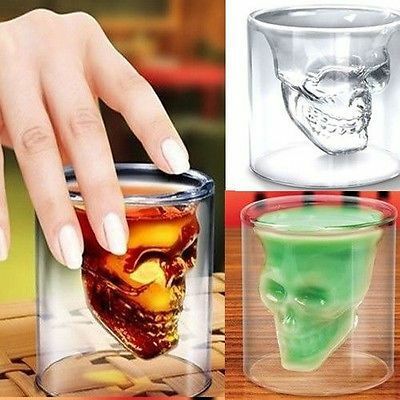 If you’re not a drinker (or not yet 21 and therefore SHOULD NOT be drinking anyway), these would be great for making little candles too! Or hey, just put juice in them! I also love them for keeping earrings and other little odds and ends in! I’m also throwing in a $15 Amazon gift card to go along with Derrolyn’s prizes. I’d REALLY love it if you checked out her other books, but of course you’re free to do whatever you want with the gift card. Giveaway is open to US residents ages 18+ and ends on June 19th. Good luck! Written in My Own Heart’s Blood–helps if you have read the series though, of course! I would recommend One Lavender Ribbon by Heather Burch! ‘The Sunlight Night’ by Rebecca Dinerstein i would recommend to you ! you should read the wiccan-were bear series by R,E Butler I’m right in the middle of the series and it’s real good and hard to but down.